In marketing, the old adage is true––more often than not, the cobbler’s children have no shoes. It makes sense: When you’re busy helping others bring up their marketing game, your own efforts can go by the wayside. That’s why it’s such a pleasure working with other design, advertising, and PR companies to help revamp their online presence. 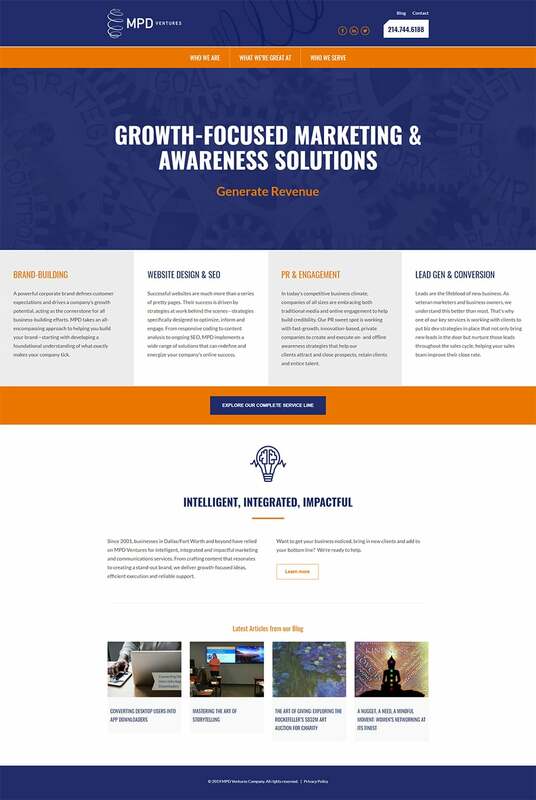 With MPD Ventures, I took the pressure off their internal staff, redesigning and implementing a fresh new look for a website that had been neglected for a while. 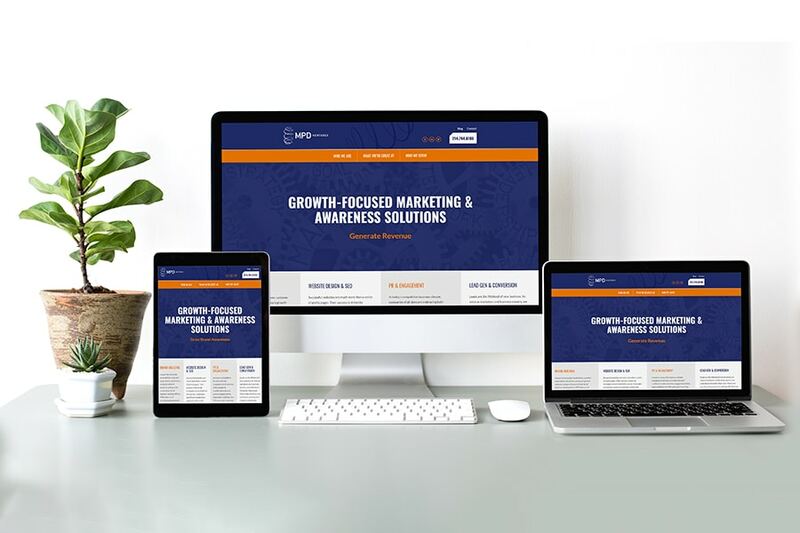 Implemented in WordPress, the site is now fully responsive and features an innovative navigation scheme that helps highlight what makes this Dallas-based marketing and public relations company great. In addition, I worked closely with their content team to design eye-catching interior pages that present their capabilities and strengths in a fun and informative manner. Client MPD Ventures - A3K Advertising, Inc.